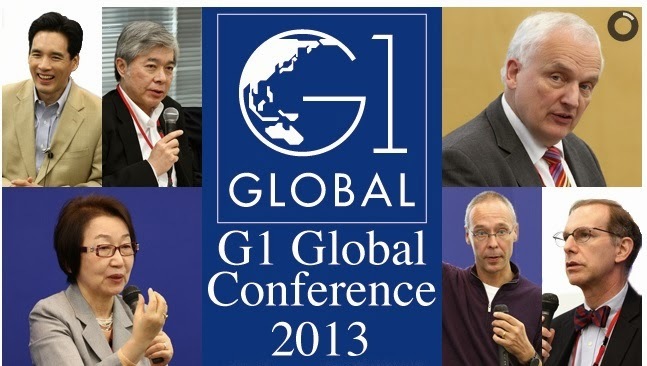 Entrepreneur Yoshito Hori and his Globis University were the most terrific of hosts last month, allowing me to attend their Globis 1 Summit. They also allowed me to participate in a panel discussion (bravery defined) on the outlook for policy and politics in the aftermath of the July 2013 House of Councillors election. My fellow discussants were Your Party Secretary-General Asao Ken'ichiro and Liberal Democratic Party maverick Kono Taro. Jonathan Soble of the Financial Times was our talented and forgiving moderator. In the debate Asao-sensei defended the honor of the opposition while Kono-sensei worried about the momentum of his party being frittered away by special interests. I displayed my usual gallery of mannerisms and tics. The pace was leisurely, allowing each of the panelists time to make his points. The discussion was in English. 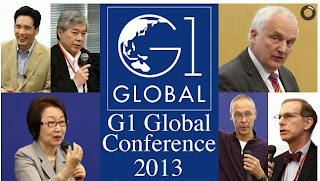 For those wishing to hear the views of incredibly smart folks like Robert Feldman, MAFF Minister Hayashi Yoshimasa, Shawn Baldwin and Matsumoto Oki and, yes, the always entertaining Jesper Koll, the videos of their sessions are on the Globis television website.